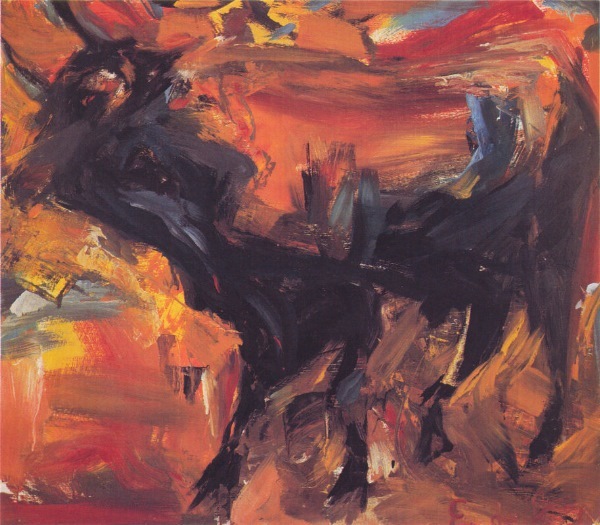 Twenty years earlier, Elaine de Kooning had debuted with 71 other artists at the Ninth Street Gallery in New York. The show featured eleven women and sixty-one men, including Elaine’s husband, Willem de Kooning, plus Robert Rauschenberg, Robert Motherwell and Jackson Pollock, the husband of another exhibitor, Lee Krasner. The month-long show launched a new wave of up-until-then virtual unknowns — loft squatters soon to become the Modern Masters of American Abstract Expressionism. Well, the men were soon recognized, at least. The women lumped along on a circuitous path as the at-times painter-wives of stratospheric art stars, with another ten, twenty, forty or sixty-plus years to go before establishing their own places in art history. Esoterica: I remember receiving a rejection letter from an art gallery that focused solely on dismantling gender bias and the devaluation of women in the arts. When the letter stated specifically that my work did not meet the standards to elevate the status of women in the art world, I wondered how any woman artist could not, in some way, be advancing the status of women in the art world. In terms of representation in commercial galleries, women hover around the 30% mark, with women continuing to make up only 3-5% of museum permanent collections in the U.S and Europe. Of all the ways my work might not be up to snuff, not contributing to the elevation of the status of women in the arts was considered my failing? After a moment of rage, I let the letter slip down casually behind the radiator and went back to work. 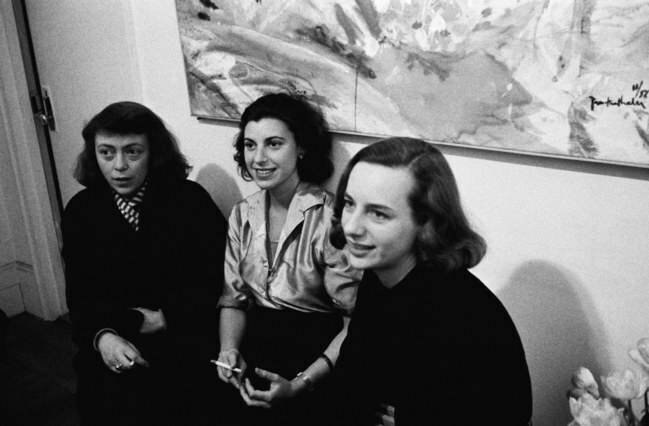 Mary Gabriel’s new chronicle, “Ninth Street Women: Lee Krasner, Elaine de Kooning, Grace Hartigan, Joan Mitchell, and Helen Frankenthaler: Five Painters and the Movement That Changed Modern Art,” is available here. It’s all just gotten really old. But that doesn’t make it any less relevant today. If we stop remembering, things will never change. I rejoice every time I find a new (to me) female artist, particularly those from previous centuries. How can it be old when it’s just as relevant today as it was in previous generations? What’s old is the attention being given to men, both in previous decades and now, and the fawning over their contribution to the arts at the expense of the women who have been left on the wayside. I’m a bit tired of hearing that so and so is now being “rediscovered”, after their death, as being important, when because of their gender, they were more or less ignored in life. And this is just the tip of the iceberg. The historic contribution of women in all aspects of humanity has been pushed aside, but our daughters and future generations need to be inspired and pushed forward by acknowledging their genius as well. I agree that women have always been left unnoticed, while the man gets all the hype. And men are the ones who get us into too many wars, mob mentality, deviant sexual behavior, etc! I know that Christian Hymn writer, Fanny Crosby wrote over 2,000 hymns, many under false names or pseudonyms. Why the deception? Probably because she was a woman. This relates to visual art. My teacher at WMU used to sign her art Fair prints ” Daisy May”, because she really didn’t want to have people associate her name..real name…with art Fair art, once known as “street art” in the 70’s. As a collector, those numbers sound about right. I have a pretty extensive collection of a wide variety of Canadian art and I have always felt as though I value art by both men and women equally – some of my most favorite Canadian artists of all time are women: Rita Letendre, Ann Beam, Susan Andrina Ross, Bernice Fenwick Martin, Mary Fox to name a few. I knew Susan Ross used to sign her work “S.A. Ross” because in her words “women didn’t have any clout”. but from my perspective, I thought I had women pretty well represented. However, when I ran through my inventory list, only 26% of the works are by women which seems pretty much in line with the 30% gallery represented artists figure. You buy what you see and like, so no surprises there – statistically it makes perfect sense – if you don’t see it, you can’t buy it. As an artist, interestingly enough the particular galleries I show at are both run by women. The first of the galleries has a pretty even split of 50% men/women. In the other gallery, of the artists they represent, 77% are women so in this particular instance, I am in the minority. They both do a great job, are very successful, and have done very well selling my work as well as the other gallery artists’ work. By extension, it seems one solution to the problem might be to have more women running private and public galleries? That may help level the playing field but how do you control something like that? How do you encourage women to go into the gallery business? Am I onto something here or is my particular experience anomalous? I think women have important, different things to say in large part because we are women. We have said them for centuries and have received very little recognition for them. Being dubbed a woman artist is something that might be passing as equality of the sexes comes into being but for now, we are being discriminated against because we are women so we must stand up for ourselves as women. If we were all Black, it would be the same strategy. 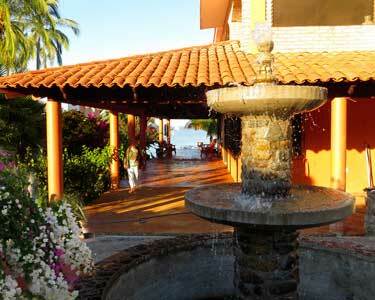 This is no more than one woman’s opinion, however, and as women, we welcome all comers. Diversity is our middle name and one of the things we have to say that is different. 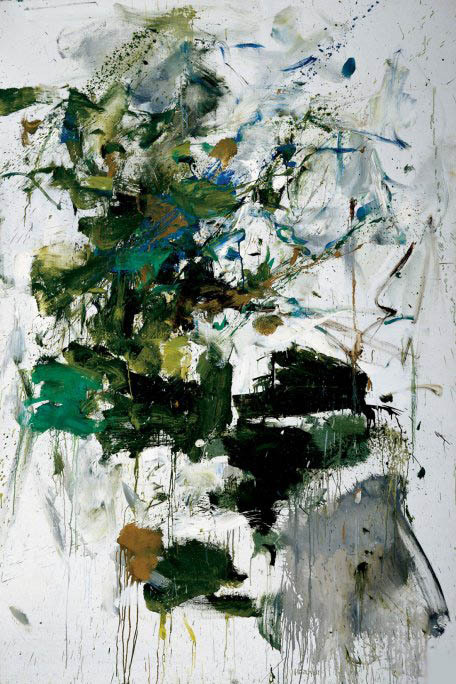 Joan Mitchell was very problematic. She was also brilliant. 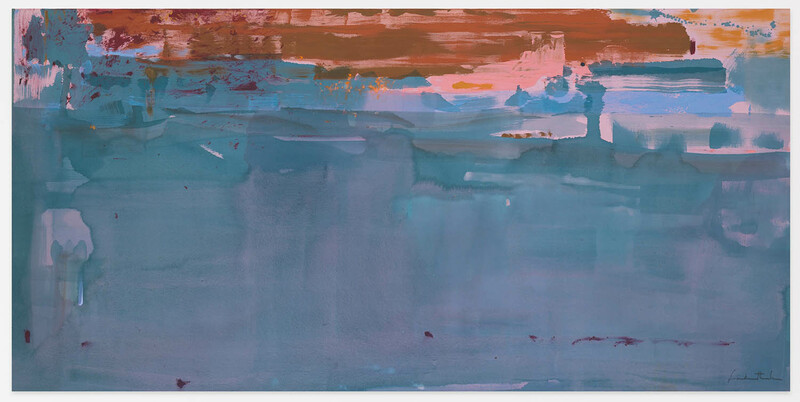 Her work has rarely been equaled among abstractionists. Sometimes it seems that it’s not men vs women, but how anyone gets “discovered “…there are so, so, many talented artists who paint for the love of it, and to supplement or support themselves. It’s like writing…who knows…all I can comment on with truth, is that I personally love to paint, learn, and “my little pile of failures “ one year, becomes new and fresh when viewed the next year. I’m the mother of four grown daughters. They shake their heads in wonder, when I tell them about the first day we were allowed to wear pants to school in Seattle. I taught my daughters there is nothing wrong with the color pink; but there is everything wrong with, “acting” pink. I know some art critics still consider certain subjects to be the natural realm of women. Today, we use whatever colors we like, and paint all subjects; hopefully, with less predjudice. I was careful to name my daughters with first or second names, that may be used as, “boy’s names”. I hope the quality, or validity of their work will not be dismissed by seeing them simply as, “women artists, or writers”. But, I know that tendency exists. I paint with pink. Who made that color a villain, anyway? I feel paintings of women washing clothes, and mothers taking care of their children, are just as valid as paintings of airplanes, race cars, or big trucks. Is the day coming when our artwork is valued as much as a mans? Oh, I think so. See that woman in the pink leggings, pulling out her credit card? ELAINE DE KOONIG WOULDHAVE BENEFITED FROM HAVING HER OWN STYLE INSTEAD OF APING HER HUSBANDS. If you get the chance and time, you really should read this book. Her portraits are outstanding, (ca. 1946-53, and her abstractions do not remind me of her husband’s work. 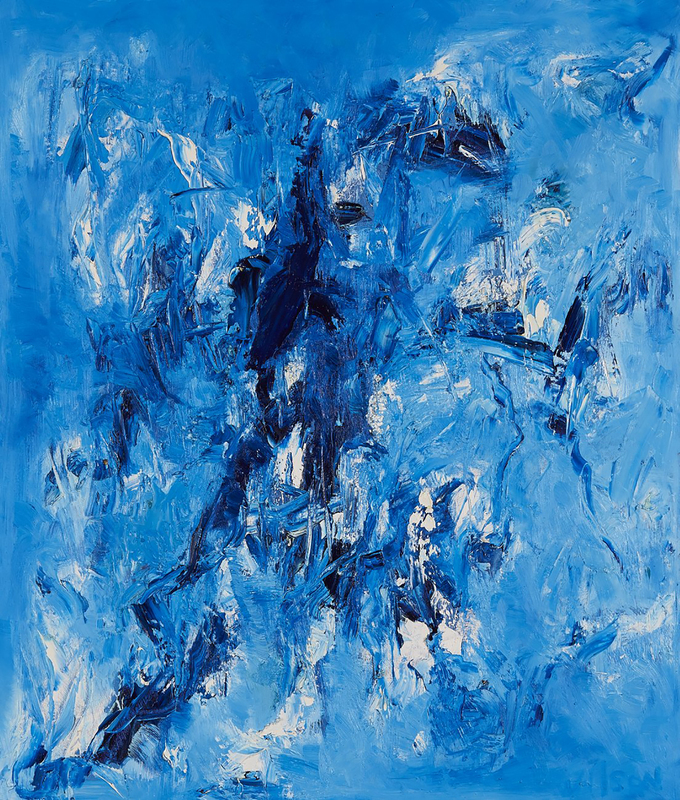 Her 1958 abstractions are nothing like her Willem’s work…..This comprehensive book is not only immensely informative, it is a great read…..
I’m so glad you ignored that ridiculously ignorant letter Sara, filed it where it belonged and got on with your own work. Thank you for another wonderful and thoughtful essay, Sara! And much good luck to you with your show! One of the other women in the Ninth Street Show, Jean Steubing Maggrett, who did not go on to be well-known but who had a full and creative life, used to live not far from me in Northern California. I wrote two blog articles about her meeting Willard Bond, another New York painter who came to the city a little later. Jean lives with her family in Tucson now, and I haven’t seen her for quite a few years, and Willard passed away the following year, but I treasure that day and the stories she told about the heady days of postwar New York artists and the Art Club, and getting to listen to the two of them swap memories.